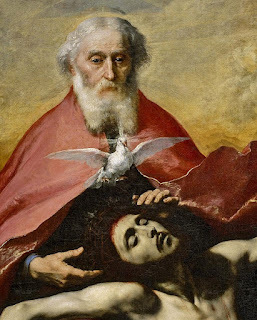 Most adorable Trinity, unfathomable Trinity, we come so close to perceiving your most glorious mystery and your love in the Most Holy Mass when Triune love so infinite, so overwhelming rains down. How can one who is finite be unchanged then we take into ourselves that which is infinite? Eternally loving, Eternally Merciful, my God my all, I love you.